There’s no need to worry about your kids drawing on the furniture anymore. Here’s some kids’ furniture designed to be scribbled on. Cardboard furniture may seem like the craziest idea out, but in fact it’s been growing in popularity over the past few years. It’s a very environmentally friendly option for furniture which is surprisingly durable, and won’t cause you headaches about how to get rid of it when its time is up. 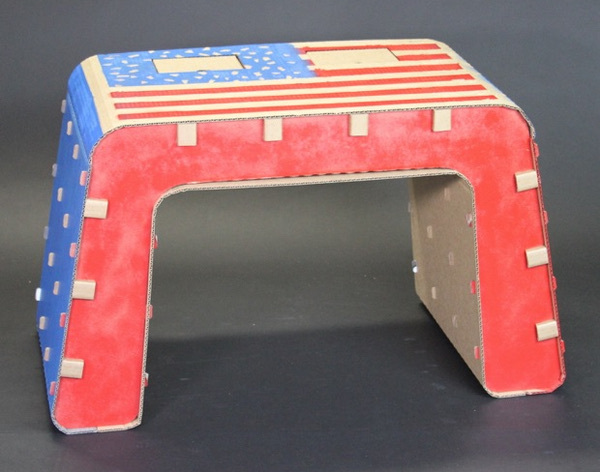 This great new cardboard kids’ desk and chair set from The Cardboard Guys is the latest to hit the market, and what a versatile offering it is. The straightforward design provides plenty of space for work or play, but also includes little extras like cubbies to put treasures in, and side tabs on which your child can attach their own decorative touches. But won’t it collapse? No! Apparently the chair will hold up to 500lbs (about 225kg), although they recommend that you limit the weight on it to about 90kg. It’s easy to put together too, snapping together using a tab system that doesn’t require glue. The Cardboard Guys are crowdfunding the first production run of their DIY cardboard desk at Kickstarter. If you pledge $75 or more towards getting it up and running, you’ll be among the first to have your own desk and chair, along with a spare desk top and even some markers for decorating it. Check out all the specs, and see their other creations at The Cardboard Guys. 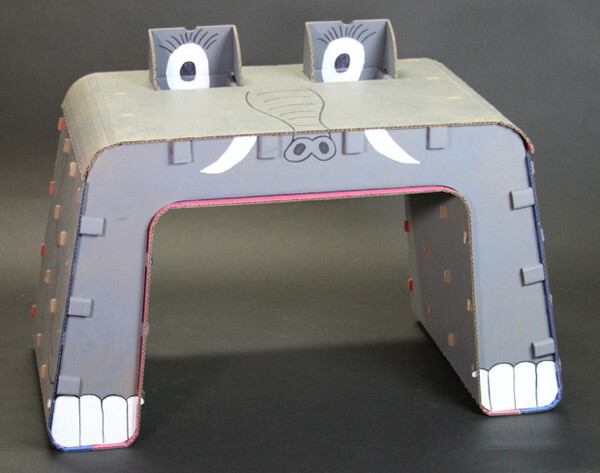 Interested in finding out about more cardboard furniture? Check out our previous posts about the locally made Zeppo Chair and also the Toytoy armchair from Canada.